If you follow our articles since a long time, you probably realized the wheel market is deeply changing since a few years and the french manufacturers are not trivial to it. Specialist of direct sales, Corima sells its rims and wheels since almost two decades. This experience allow them to manufacture a very innovative product. 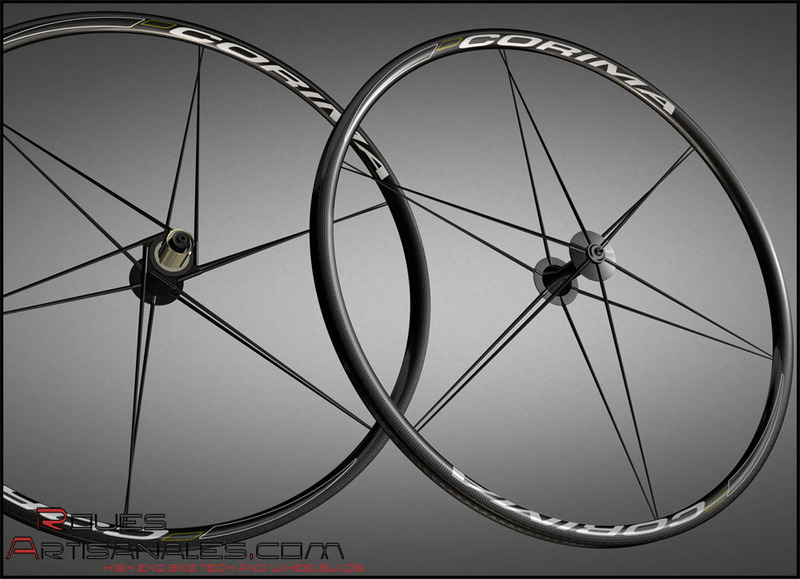 Their first wheels, entirely made out of carbon, made in Loriol (france) are under road tests. 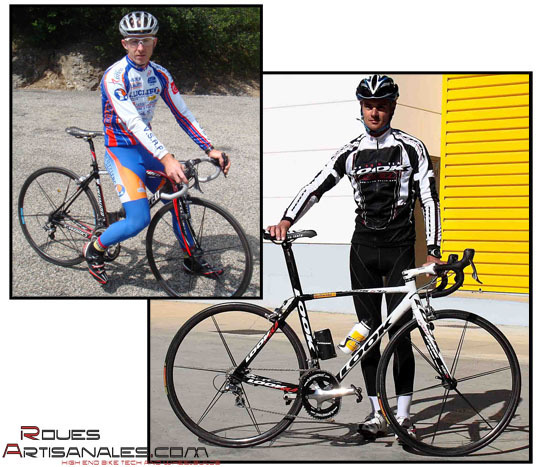 Triathlete Hervé Faure, 2005 Nice Ironman winner, 2006 and 2007 Embrunman winner is currently testing them, as well as Lionel Genthon, cyclocross specialist. Corima always have been able to offer its customers a very fair and attractive price. Will their full carbon wheels follow this system? These new wheels have a flat rim, we suppose it is the same as the Winium, 24mm deep. They are coming with 12 paired spokes front and rear, whose particularity is their non-constant diameter: they are large close to the hub, but thin close to the rim. From an aerodynamical and stiffness point of view, this solution is excellent. Bonded to the rim and the hub, we certainly won’t be able to true them. Anyway, we hope Corima will be able to repair them in case of crash. We don’t have so many informations about them. Their weight can be estimated around 950g, knowing every components are in carbon fibre. Since Carbon-Sports took back Lightweight wheels to a serious production, technology concentration high end wheels are getting common. Lew Racing released the Pro VT1 early in 2007, Mavic copied Lightweight technology with its Cosmic Carbon Ultimate unveiled a few weeks later. Aerozenith is now selling its X1000, full carbon too (we are writing an article about them). 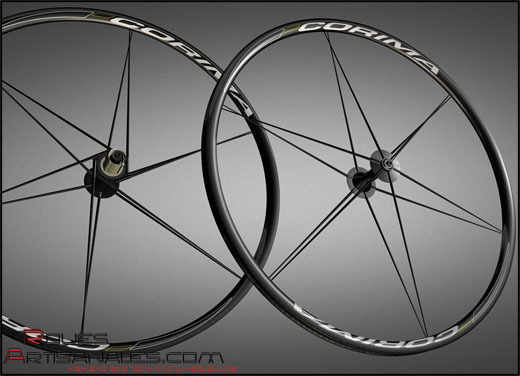 The Mavic R-SYS Ultimate, full carbon again, is under test on the Giro, and Corima is working on a full carbon hoop too…! We hope the prices won’t be too high.